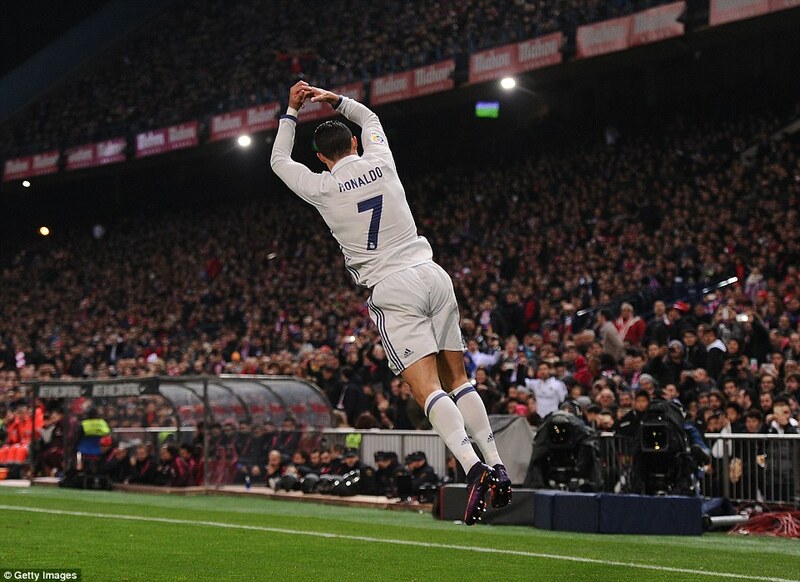 Cristiano Ronaldo heard there was a fiesta going on at the Vicente Calderon so he gatecrashed it. And for his party trick he pulled out the 39th hat-trick of his career to blow out the speakers and leave the hosts wishing they never bothered. 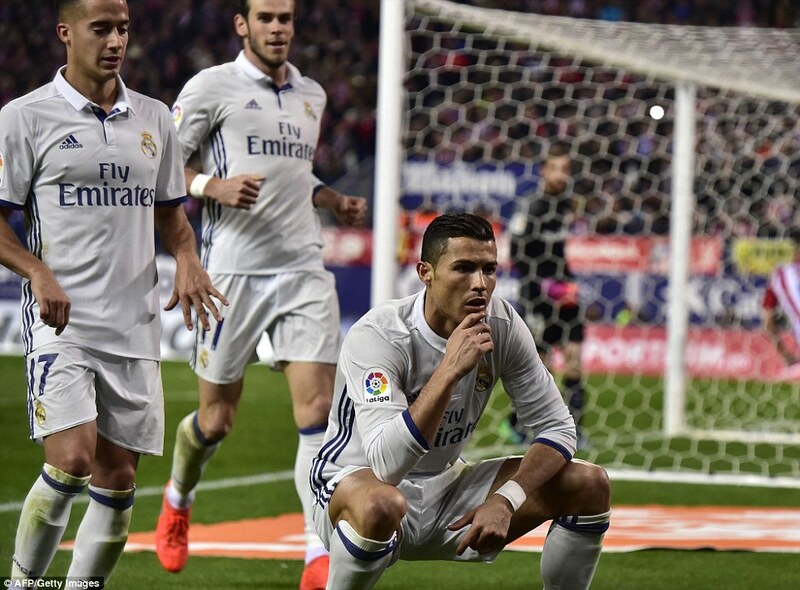 Atletico were determined to celebrate the last Madrid league derby at their stadium with a victory before they head to their new ground next season, but instead left licking their wounds and wondering what hit them. 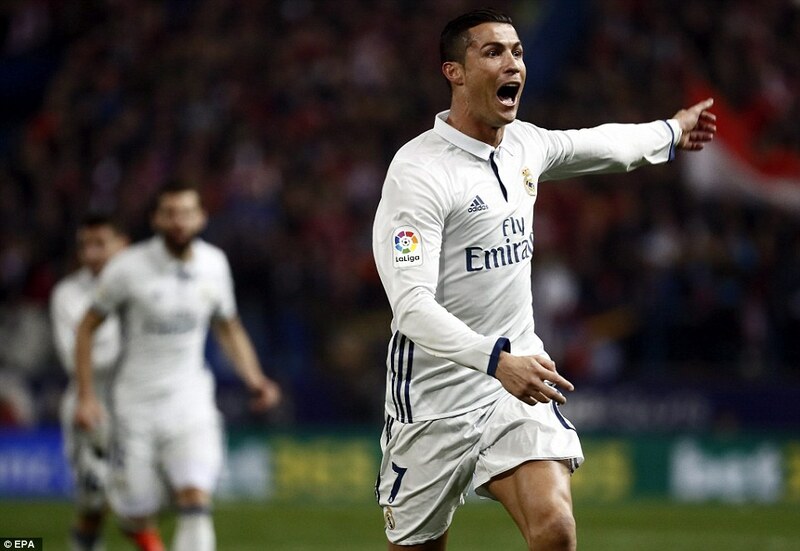 It was a reinvigorated Madrid and a turbocharged Ronaldo, whose treble took him to 18 goals in the derby, beating Madrid legend Alfredo Di Stefano’s record of 17 set in the 1960s. 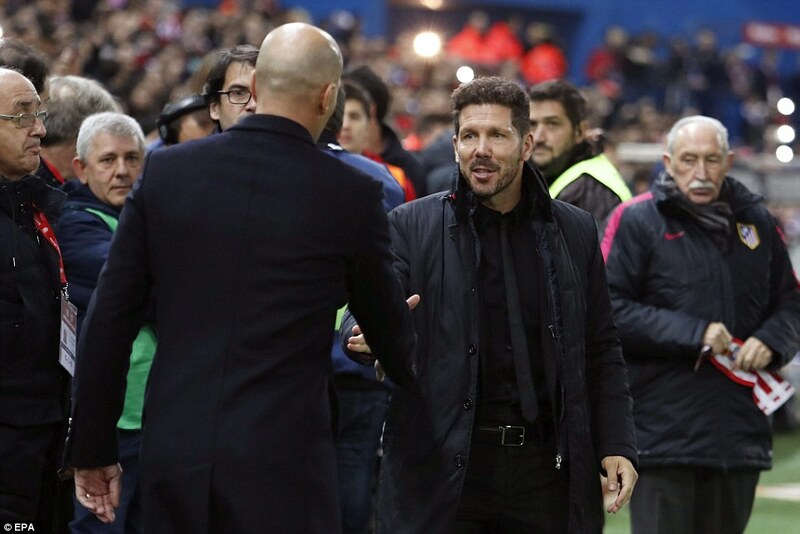 During Diego Simeone’s time at the club Madrid have found life increasingly tough against the neighbours they used to roll over on a regular basis and not much seemed to have changed under Zinedine Zidane, despite the Champions League final win last season. 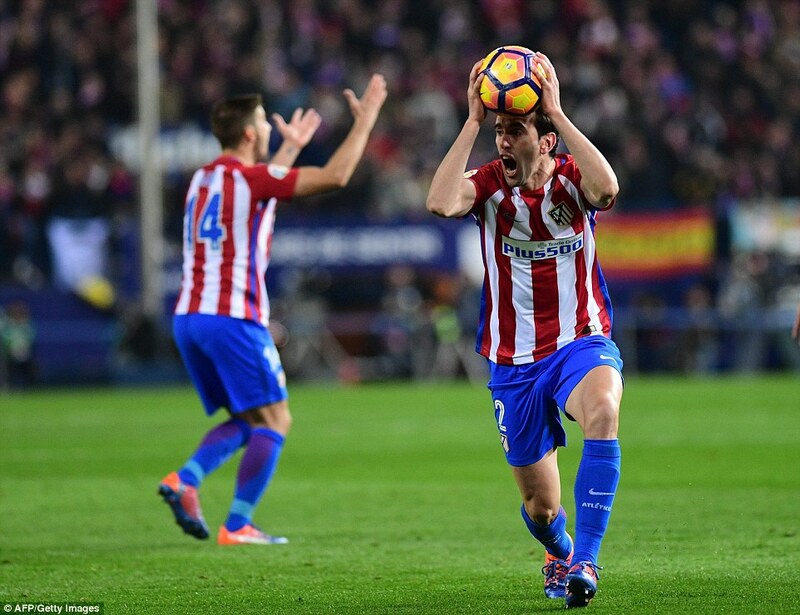 But the Frenchman pulled the rug out from under Simeone here with a clever change of plan and Atletico never recovered from the shock. 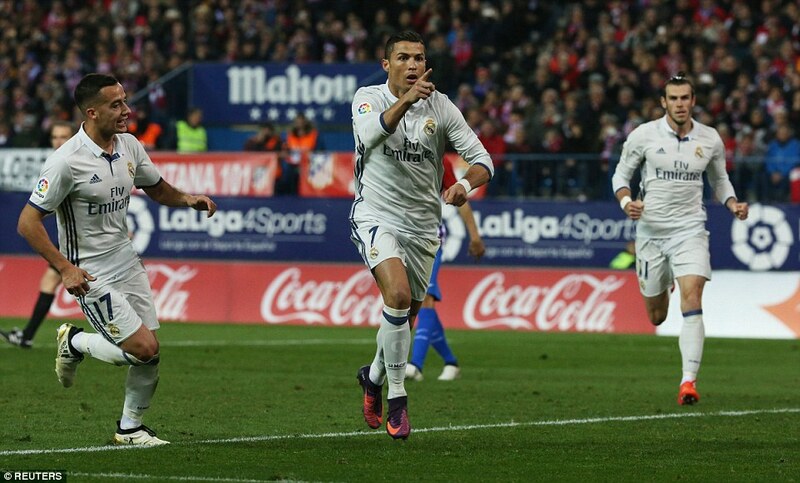 For a long time Cristiano Ronaldo has been acting as a No 9 while being picked as a left-winger, but this time around Zidane gave him the central role while using Gareth Bale on the left and Lucas Vazquez on the right. It was close to a 4-4-1-1 with Isco tucked behind the Portuguese striker, and the pair rewarded their coach with their best performances in months. Some scoffed when Ronaldo said he wanted to play until he was 41, but they won’t be laughing so loudly now. 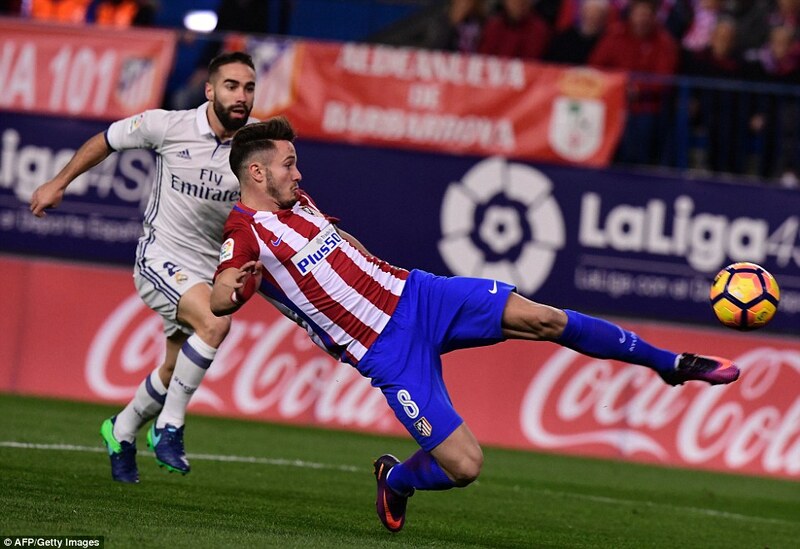 However Atletico forced the first chance when Koke’s clever ball allowed Saul to peel inside and try an acrobatic volley which skidded inches wide of the near post. 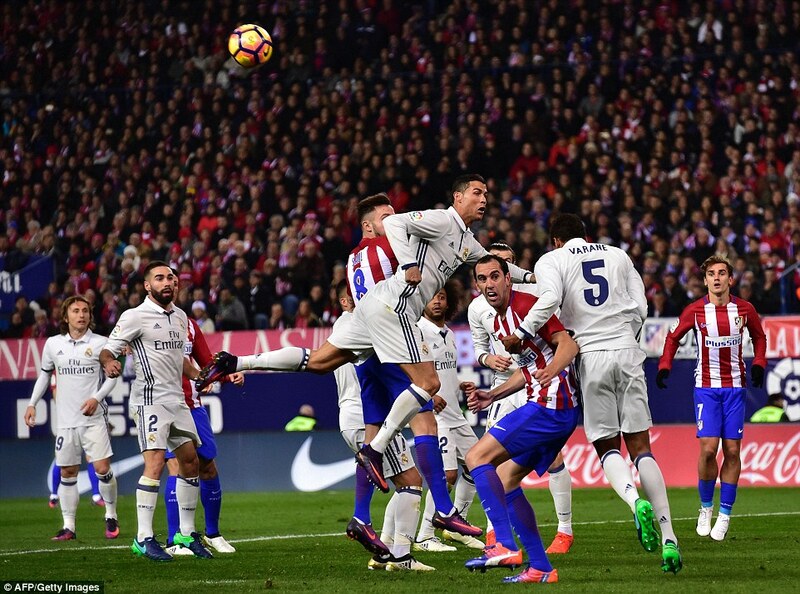 Madrid hit back and it took a remarkable save from Jan Oblak to keep out Ronaldo’s header from close range, and an equally remarkable last ditch tackle from Gabi to stop the striker from converting the rebound. It was one of the saves the season from the Slovenian goalkeeper, with Ronaldo left stunned, and wondering if the ball crossed the line or not. Without goal-line technology, it’s anyone’s guess. Spurred on, the visitors began to dominate and Oblak made another smart stop from Luka Modric’s low drive, while Isco started to cause a world of problems for Stefan Savic. 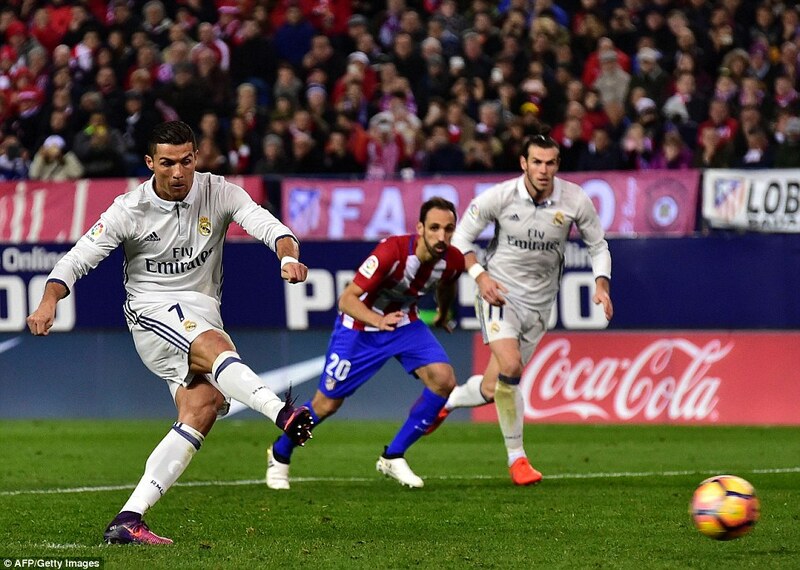 It was the centre-back who played a part in Madrid’s opening goal too, when Ronaldo’s bludgeoned free-kick deflected off him in the wall and skipped past the helpless Oblak. Even the reliable Diego Godin was struggling and the Uruguayan was left for dead when Ronaldo turned in the box after receiving a clever pass from Isco and drilled a strike straight at the goalkeeper. 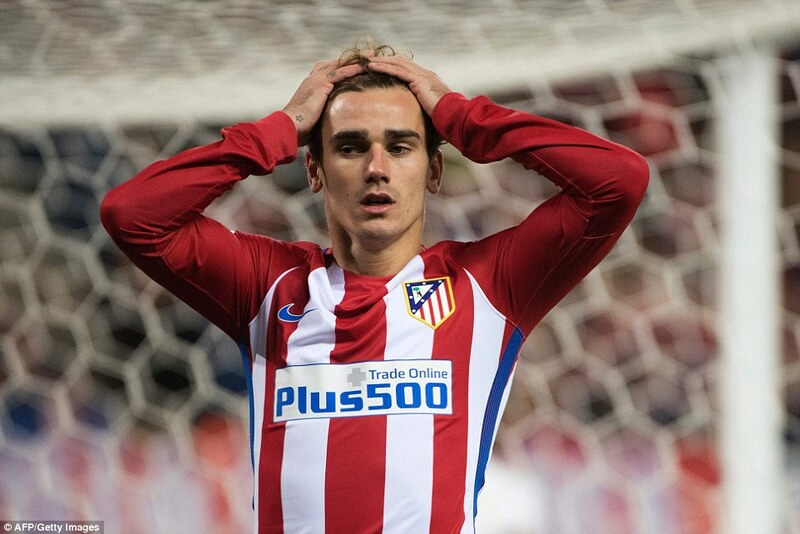 There is something not quite right with Atletico at the moment, as reflected by the fact they have conceded in their last five league games, for the first time since Simeone took charge in December 2011. 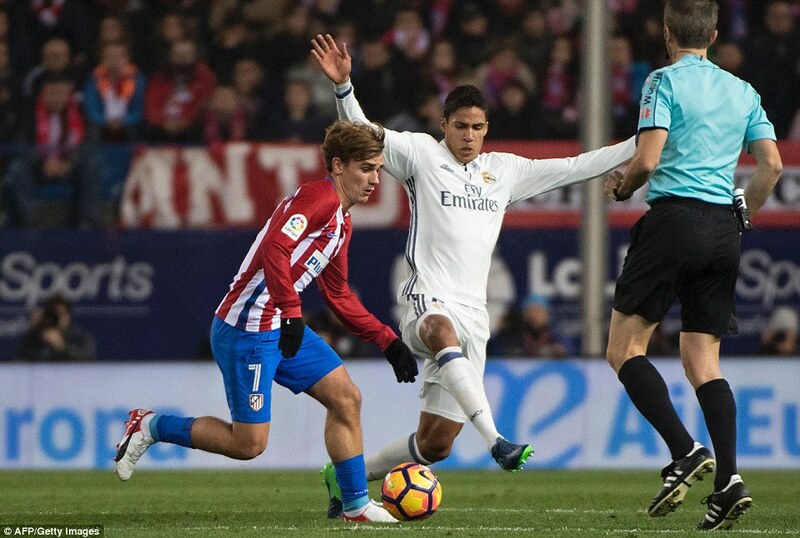 Madrid gave the ball away twice in quick succession at the start of the second half and the fans seized on that as a moment to surge behind their team, who reacted well. 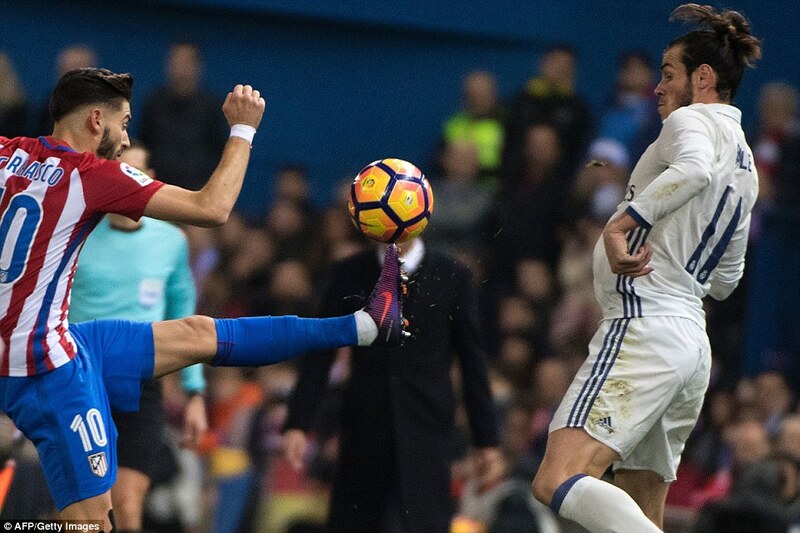 Yannick Carrasco angled a strike inches over the angle between post and bar, before Griezmann’s low strike sizzled across the face of goal but stayed out. Simeone waved his hands round and round like a windmill on the touchline but he couldn’t blow the ball into Madrid’s net. 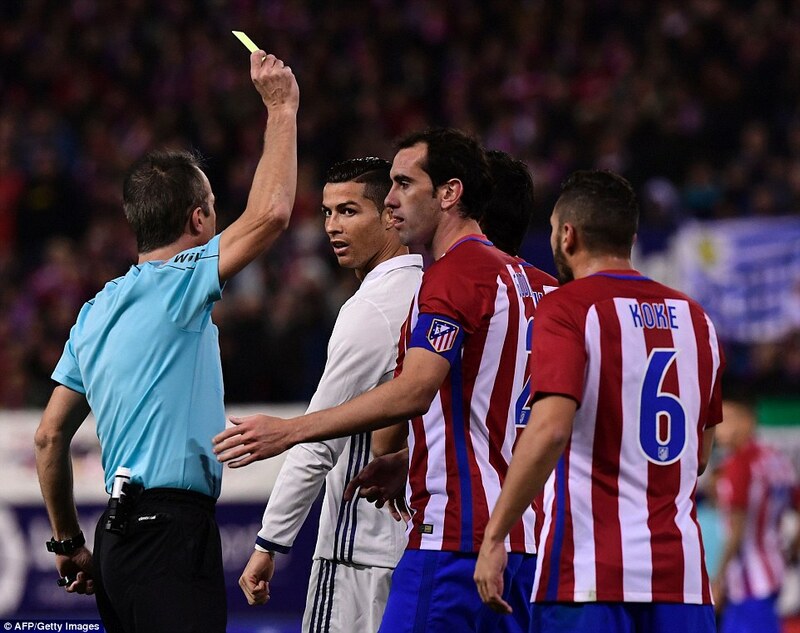 Koke went head-to-head with Ronaldo but that didn’t help either, with both players having their names taken by the referee. 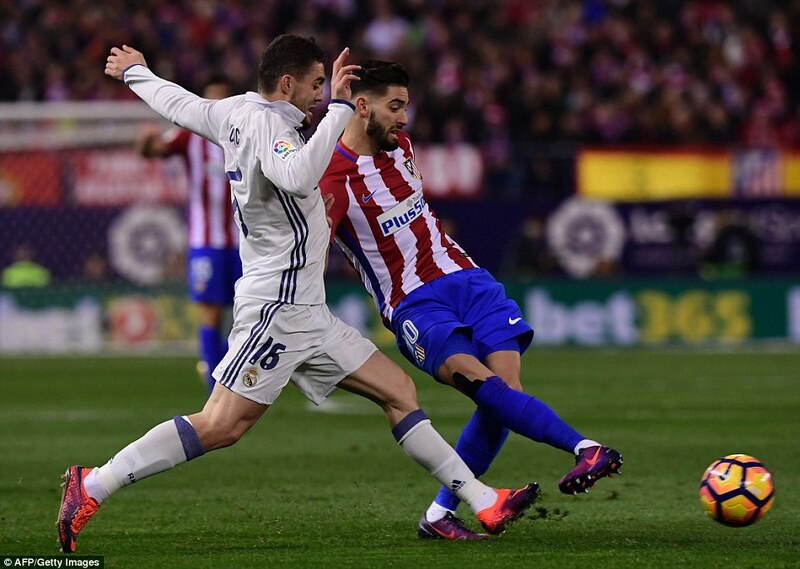 Isco came desperately close to the goal his performance deserved at the other end with a strike that Oblak tipped around the post. 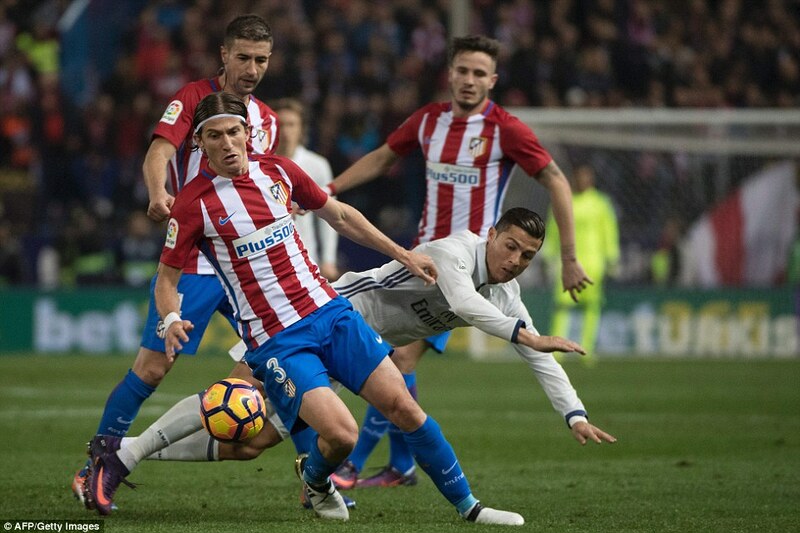 But Atletico were let down by Savic again, with his silly lunge for the ball giving Ronaldo the situation he needed to engineer a penalty by running into the defender’s legs. 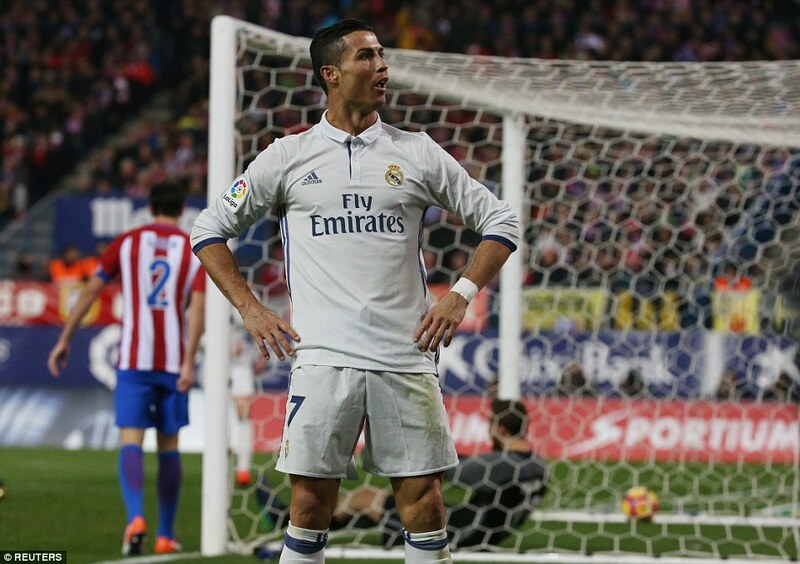 Ronaldo dusted himself down and dispatched it, sending Oblak the wrong way—repeatedly it seems that penalty stopping is a weakness for him—before sealing Madrid’s victory a few minutes later. 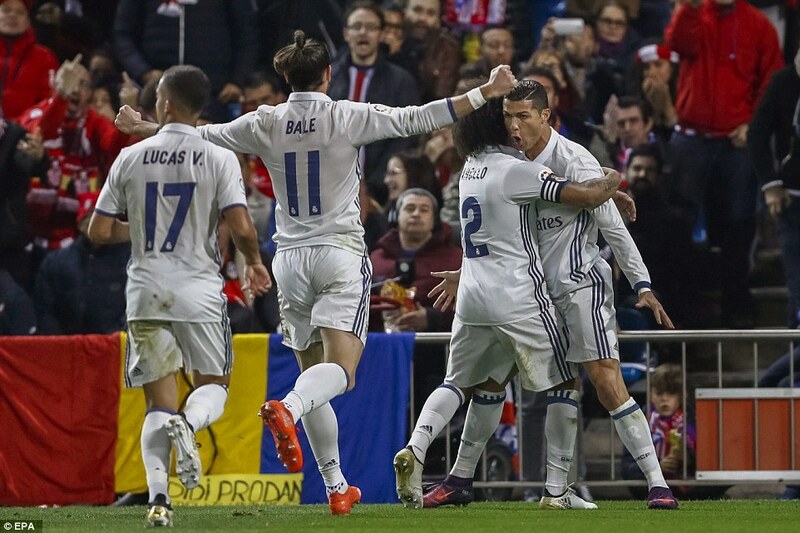 Bale surged down the left and fired across a ball which just needed Ronaldo to touch it over the line, which he duly did to score one of the easiest hat-tricks of his career. But despite that, what will linger in the memory is his overall performance in a position which Zidane will surely employ him in again. 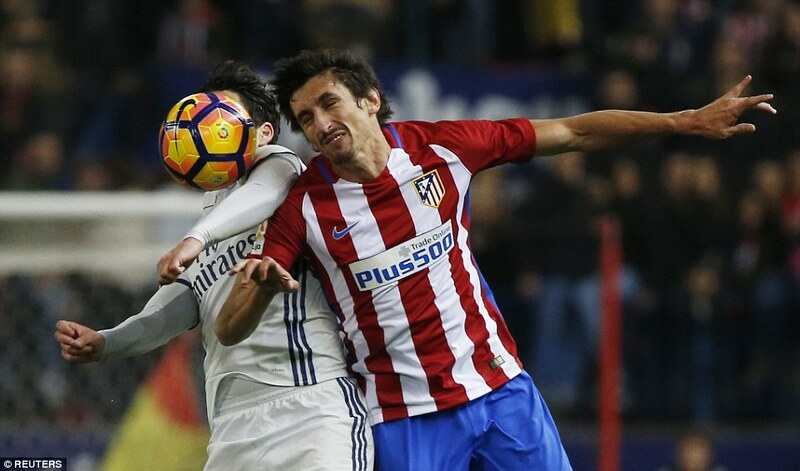 Atletico will now hope to draw Madrid in the Champions League or the Copa del Rey as they look to give the Vicente Calderon a derby send off that it deserves, although a smiting by Madrid is actually fairly consistent with the club’s history outside the Simeone era. 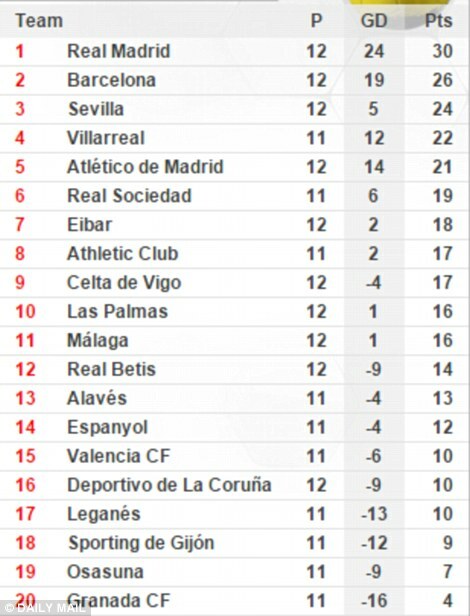 Beyond the morale boost of spearing their vicious rivals, Madrid will be thrilled to go four points clear of Barcelona at the top of La Liga, a lead which means even defeat in the upcoming Clasico should still see them stay at the head of the table.